The English national team has a history of arriving at major tournaments with the expectations back home being nothing less than to bring the trophy home with them. Yet having not won a major international tournament since 1966, and that on home soil, it seems quite bizarre that a nation who has otherwise reached only two semi-finals since their win 47 years ago feel as though they have a divine right to challenge for international honours every two years. 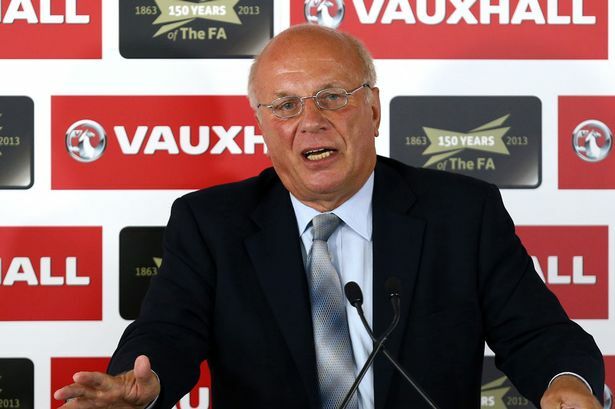 Two weeks ago, new FA chairman Greg Dyke (above) outlined in detail his fears for the future of the English game both domestically and at international level. One quote that particularly caught my eye from that well-publicised speech was “The England set-up has been weakened rather than strengthened by the creation of the Premier League”. It appears that the blame for all the years of mediocrity at major tournaments has been left solely at the feet of the Premier League. Such a cut and dry theory is much too simplistic. Firstly, Dyke mentioned that the set-up had been “weakened” as a result of the league’s formation, but weakened from what state? Prior to the 1992/93 season, the first season of Premier league football, the national team had been on a barren run for more than 25 years. Not much has changed in the 20 or so years which have followed, hardly grounds for lamenting a drop in standards. If we put the commonly perceived recent failures into perspective for a moment, the English side were only a penalty shoot-out away from reaching the semi-finals of Euro 2004, the World Cup in 2006 and last year’s European Championships, while had a blatant Frank Lampard goal been allowed in their 4-1 defeat to Germany in the World Cup of 2010, England could well have reached the semi-finals there also. In essence, what I’m trying to say is that the quality of the national team is no worse than what it was before the Premier League began. The key case that the Premier League often has to answer, though, is the very high number of foreign players that ply their trade in England’s top flight. Critics argue that it is the very high number of foreign players in the Premier League that hinder the development of English talent coming through because English players are not being given a chance. Statistics tend to back up this argument as in its first year, the percentage of players in the division who were English was 69%, ten years later this was down to 38% and now, in 2013, we find ourselves at 32% and on what seems like a continued downward spiral which Dyke believes will result in a lack of players “qualified to play for England who are playing regularly at the highest level in this country or elsewhere in the world”. Inevitably, a catch 22 develops when trying to rectify this problem. On the other side of this is the argument that young English players simply are not good enough and that a group of players of the same quality as what Sir Alex Ferguson brought through in the early to mid-90’s is simply not there anymore. If this is the case, then it becomes a coaching issue rather than a tale of injustice. Solutions have been put in place, such as the need for a minimum amount of home-grown players in each Premier League squad as well as the planned Financial Fair Play initiative which hopes to limit the amount of foreign investment on players in favour of the development of youth teams, while it has been widely touted that top flight teams should have a certain number of English players in their matchday squad, in order for more English players to be given a chance. 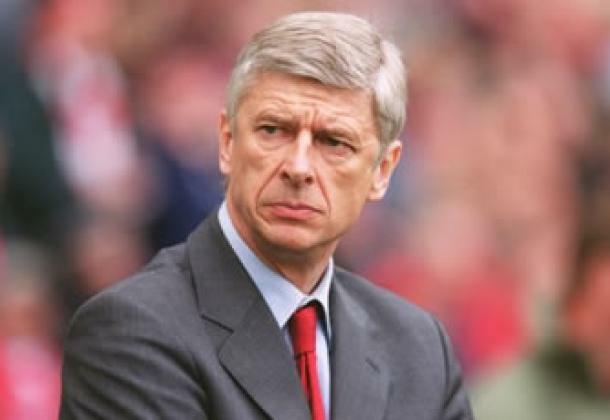 Arsene Wenger (below), a man well known for his patience and willingness to give young players a chance, finds solutions such as this absurd and has repeatedly bemoaned how ridiculous it would be for a manager to have to leave out a top class player that is foreign in favour of an English player who isn’t good enough. In reality what the foreign influx has done is to change the landscape of the league. The cultural aspects that defined English football were its pace, its physicality, its tactical naivety, its preference of industry over guile. While today these are no longer strict truisms of the English game. Bringing statistics into play again, a study has shown that the Premier League is played at a faster pace and is more physical than any other European league. In terms of evolving, what this is telling us is that the domestic game in England, while improving technical aspects of their game, is keeping true to its treasured traditions. As a result, it is inevitable that this injection of foreign players and coaches into the English top flight will breed a new kind of English player, one who is more adaptable than what we have seen before and one who does not look out of place on the world stage. So rather than impeding the national team as Dyke suggests, the Premier League is helping in forging a new identity for the English. Traditional passion and hard work is being met with finesse and guile and one can foresee an English team in the not so distant future with players that have absorbed different styles of playing and different philosophies making them tactically and technically flexible. Looking around the league as it is today, the groundwork may already be in place for an improved future. 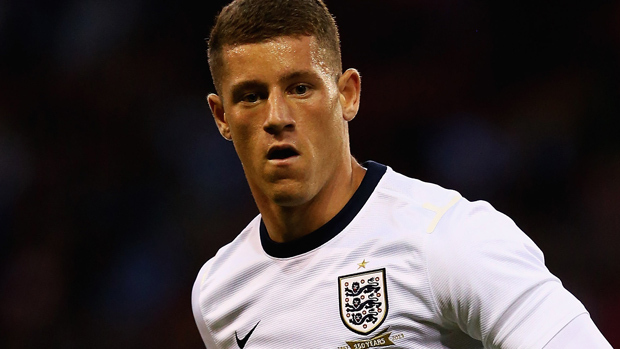 Midfield players such as Jack Wilshere and the emergence of Everton youngster Ross Barkley (above) show first-hand that there are young players developing guile to go along with their endeavour. At Manchester United, young Englishmen such as Danny Welbeck, Phil Jones, Chris Smalling and Tom Cleverley all find themselves playing regularly at the highest level of European football as will Manchester City’s talented youngster Jack Rodwell if he can put his injury problems behind him. Elsewhere at Liverpool, Daniel Sturridge and Raheem Sterling are proving to be promising players for the future as are Luke Shaw (below) and Nathan Redmond at Southampton and Norwich City respectively. There are many more but with just a glimpse around the league, we find young English players with bright futures are coming more into focus and if they continue to develop at the same rate, will feature at top clubs for years to come. As we’ve seen recently with the transfer of Welshman Gareth Bale to Real Madrid for a world record fee, if you reach a certain standard as a home-grown player, then it becomes very hard to ignore and regardless of nationality will see you given your chance sooner or later by the powers-that-be. So while Greg Dyke may feel the national team’s failings are the fault of the Premier League, there’s no doubt they’d be in even worse shape without it. Thanks! Will keep an eye out on your blog from now on too!